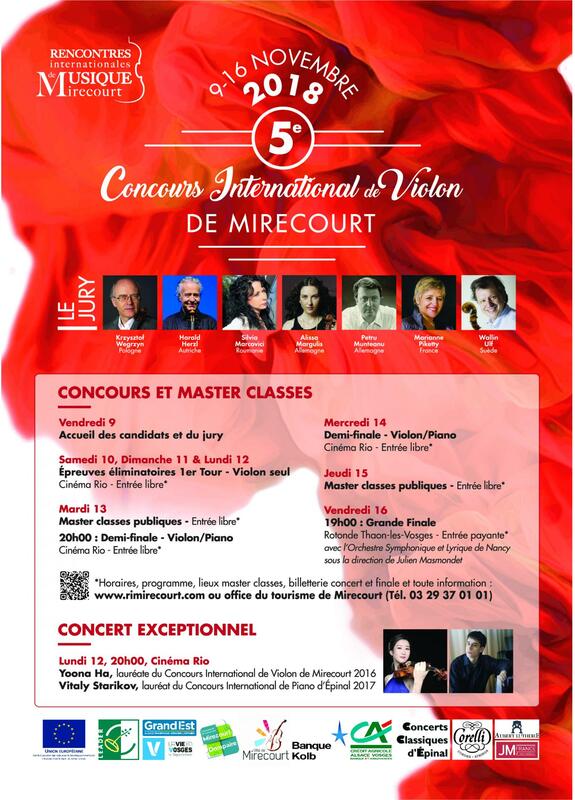 The annual International Musical Meetings of Mirecourt created in 2009, present an International Violin Competition alternating with a Classical Music Festival. 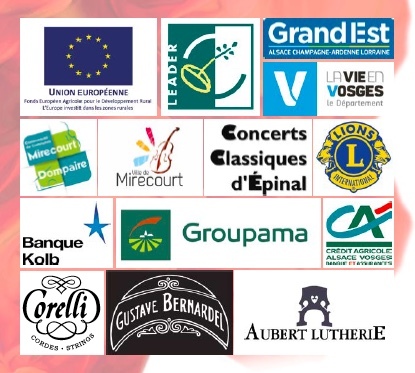 The purpose of these meetings is to bring together musicians, violin and bow makers, to promote the french music of the 19th, 20th and 21st centuries and to highlight new talents. 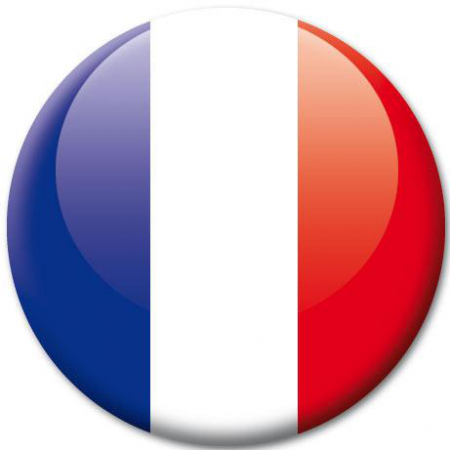 This website will provide you with all useful information concerning the Rencontres Internationales de Musique de Mirecourt supported by the Jeunesses Musicales de Mirecourt. Do not hesitate to contact us for all further information you might need.